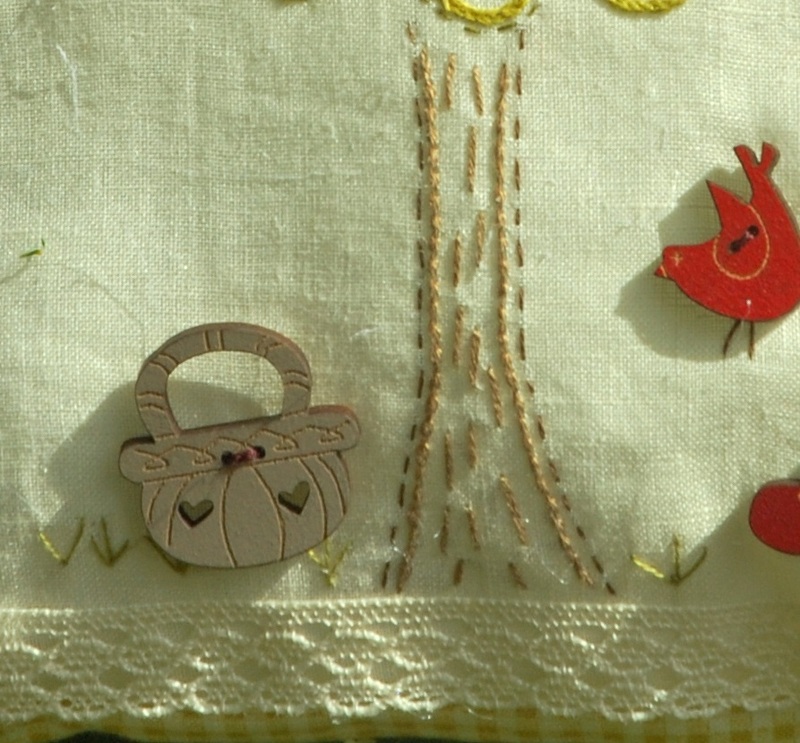 It's summertime and we love our garden, take some time off to stitch! 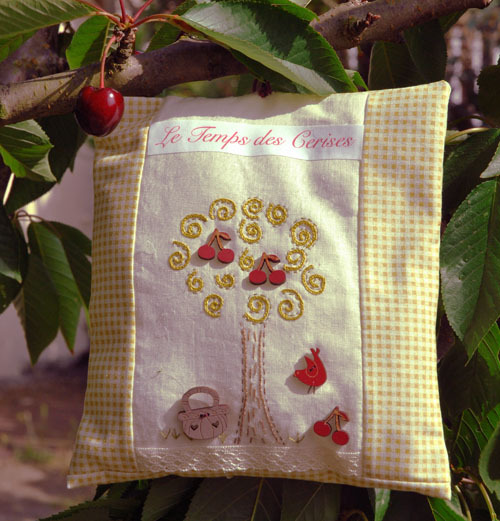 Here is our new door hanger 'Cherry time" (Le temps des cerises) ;a really easy idea to realize. A needle, some embroidery threads assorted to your fabrics, cissors, a water erasable pencil for fabrics and all materials you usually have to sew. A sheet of Cottonjet: a special fabric you can use in your regular printer (follow all instructions of each brand). 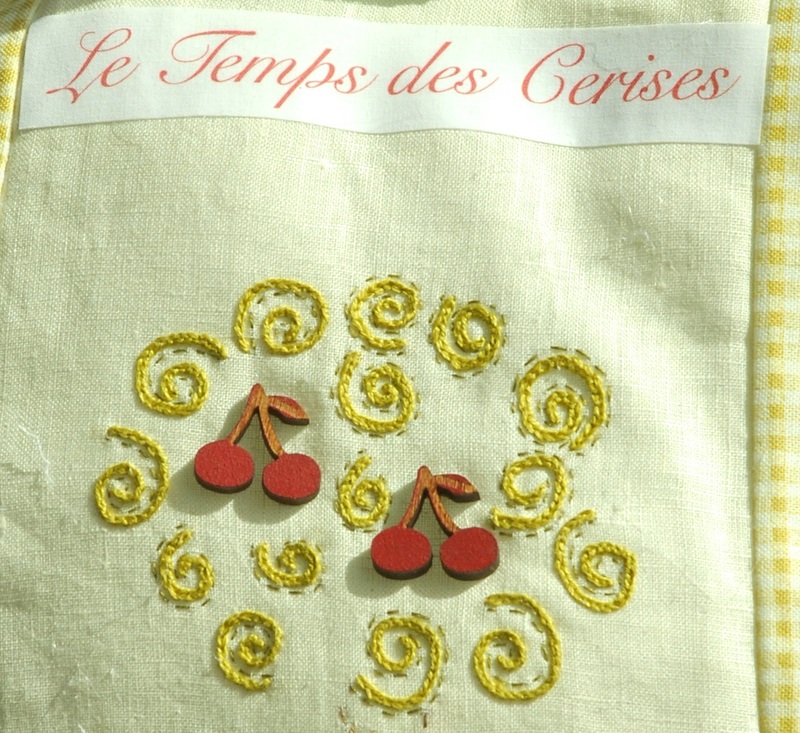 We used this fabric to print the text "Le temps des cerises". Cut a rectangle of cream fabric for the central panel. Transfer the design of our packaging on the panel, using an erasable pencil. You can add the printed fabric included in our pack of buttons to the back of the embroidered panel, or just a nice lace. Sew all buttons as well as the Cottonjet text. Cut 2 stripes of fabrics: 20.5x9 cm and add 1/2 cm for seam allowances. Sew them on each side of the central panel. Place a nice fabric (for the back of the cushion) on the central panel, right side on right side. Sew 3 edges, leave the upper one open. Turn the cushion on the right side. Iron it and fill it. Close the open edge using invisible running stitches. 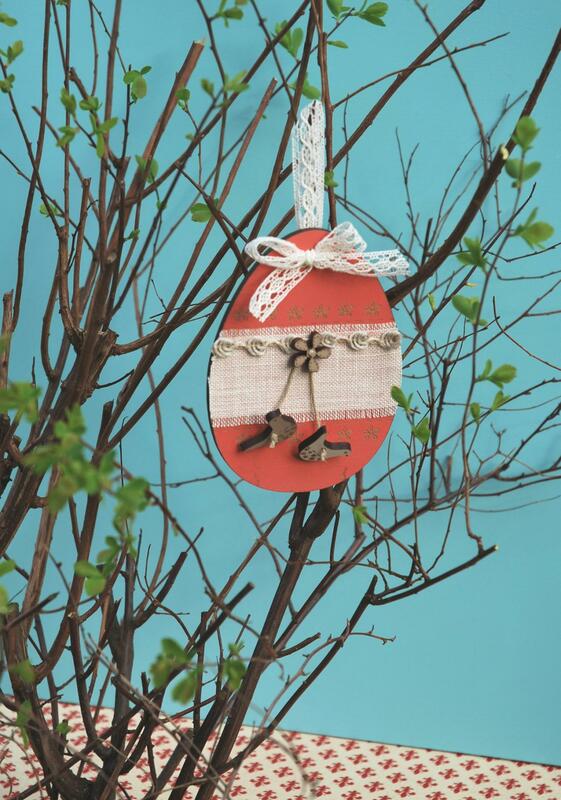 Place your lace to hold your nice door hanger.